Cooking snow crab legs doesn't need to be difficult. There are a number of methods for cooking snow crab legs that are quick, easy and delicious. 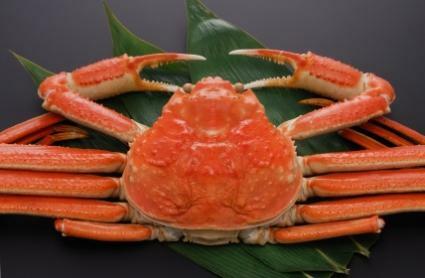 Snow crab is also known as opilo crab, queen crab and spider crab. It can be found in the cold waters of the Pacific and Atlantic, including in Alaska. Snow crab legs are more affordable than other Alaskan crab such as King crab. The meat is sweet and mild in flavor with very little "fishy undertones". Snow crab legs are long and thin with relatively smooth shells. Cooking snow crab legs can be accomplished in a number of ways. The crab can be purchased either fresh or frozen. If the crab is purchased frozen, thaw it completely in the refrigerator prior to cooking. You may also come across pre-cooked snow crab legs. If you do, they can be quickly reheated with a few minutes in boiling water or a steamer basket. To boil the crab legs, place them in a large pot of water that has come to a full boil. Cover and reduce the heat to simmer. Simmer the legs for six to eight minutes, and then serve immediately. If you wish, you may add herbs and spices to the water to season the crab as it boils. Many stores offer a commercial crab boil that is ready to use in the spice section. Place the crab legs in a preheated steamer basket and steam for six to eight minutes. To bake crab legs, preheat the oven to 450 degrees. While the oven is preheating, wrap the crab legs in a double layer of aluminum foil and poke a small hole that will allow steam to escape. Bake the crab legs for eight to ten minutes. Grilling crab legs is done in the same way that baking is. Wrap the crab legs in a double layer of aluminum foil and place on the grill about four to six inches from the heat source. Cook on the grill for fifteen minutes. To broil, turn the oven on to broil. As the oven heats, place the crab legs in a baking pan. Place the pan in the oven with the crab legs approximately eight inches below the element and broil for six to eight minutes. If you're in a hurry and want those crab legs quickly, they can be cooked in the microwav - although this method will yield less tender results. To microwave crab legs, wrap them in a damp paper towel and microwave on high for about two minutes. Snow crab legs are best when served hot, so serving immediately after cooking is always a good idea. You can also serve them cold, although many people don't like cold crab as much as they like hot crab. Cold crab is usually served in crab cocktail or salads. Crab legs are best served with something simple - a little butter, a wedge of lemon and simple sides like corn on the cob, baked potato and a simple salad. One of the challenges of snow crab legs is how to eat them. Crab cracking tools can be used. These tools are especially valuable in the case of dry cooking such as broiling where the shells harden with cooking. If the crab is cooked with moist heat, it may be easier to simply slit the soft part of the shells with the edge of a fork tine before removing the meat. Eating snow crab is a messy proposition under the best of circumstances, so be sure to serve the crab with lots of napkins and a plate or bowl to discard the shells. Fresh snow crab should be cooked right away or frozen. Fresh snow crab can be stored in the freezer, tightly wrapped, for three months. In the unlikely event of leftovers, cooked snow crab can be stored in the refrigerator, tightly wrapped, for up to three days. Leftover cooked snow crab can be frozen tightly wrapped for three to six months. Leftovers can be used in salads, cocktails and omelets.